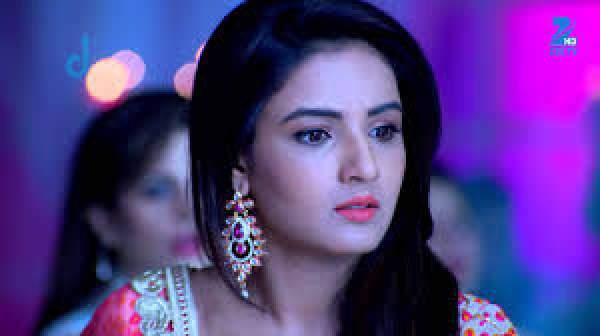 Tashan-e-Ishq Latest Episode: In the today’s episode of Tashan-E-Ishq, Twinkle informs Kunj that she is keeping her promise and the individual moments will be celebrated in a special way. Kunj gets excited for the evening. Yuvi apologised for the past happenings and told her that he would be an ideal husband from the very day. Mahi starts falling into her trap but resists after recalling what all he has done with her in earlier moments. She remembered the swimming pool case and termed him as a liar who tried to fake out everything. Mahi accused him of wooing her father to get the entry in the house so that he could be troublesome lives of Kunj and Twinkle. Yuvi loses his cool and came closer to her saying what is the problem in coming close to any other girl. Mahi went irritated and slapped him hard. Just then Yuvi could not handle it anymore and started shouting that he will take revenge from her very soon. Yuvi heard that she was planning to take their relation to a next level tonight and decided he couldn’t let this happen at any cost. Yuvi recalls what all he have done to separate them but failed in each and every plan ultimately. He commits to himself that this is not going to happen till he is alive, he also got a mirage where Twinkle was standing in front of him, and Kunj came and took her to have the romance together. Twinkle arrives in the room where Yuvi was hiding, Yuvi came from behind and tried to assault her physically and have romance forcefully. Twinkle resists and Yuvi throws her towards a table where she got injured badly and ran away. She calls for help, and everyone comes, Kunj sends Cherry to find Yuvi. Yuvi put a blanket on Cheery and run away from there. Kunj calls police commissioner to report his wrongdoings. Anita came to the house and dared them to complaint to police as she is going to destroy the house if Kunj does not take FIR back. Yuvi hides in a dark place, and Anita comes there to feed him. He tells her that he is not going to allow Kunj and Twinkle come closer at any cost. Anita informs him that they have gone to celebrate Manohar’s anniversary. Next articleKumkum Bhagya 30th March 2016 Wednesday Episode: Bulbul is ready for a comeback ?